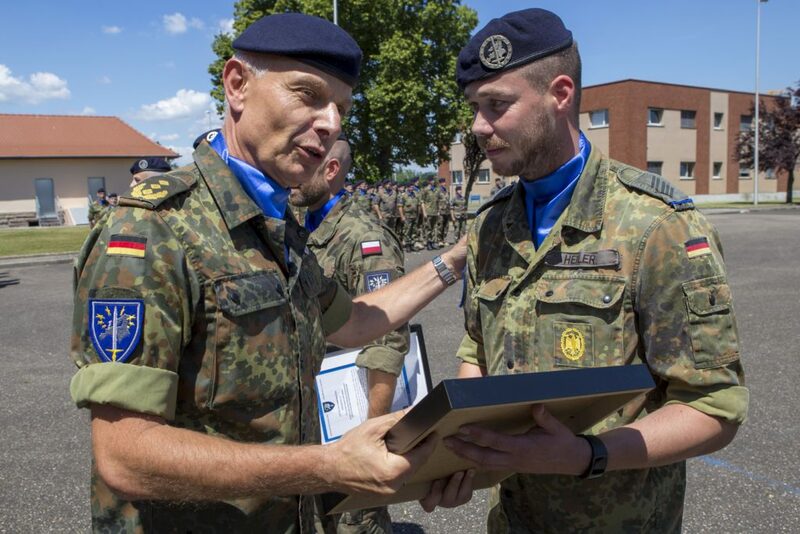 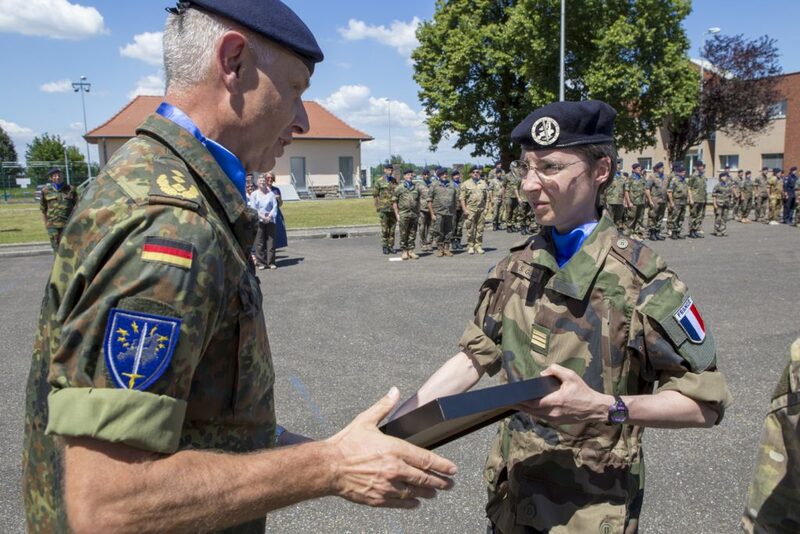 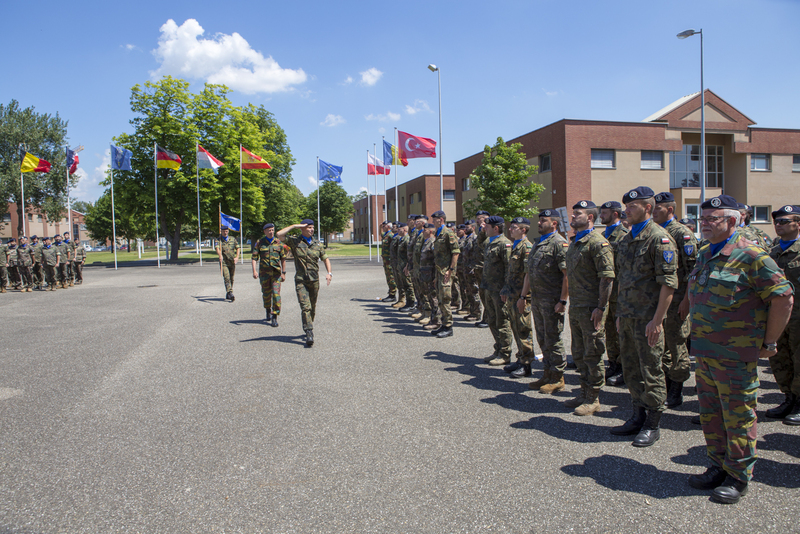 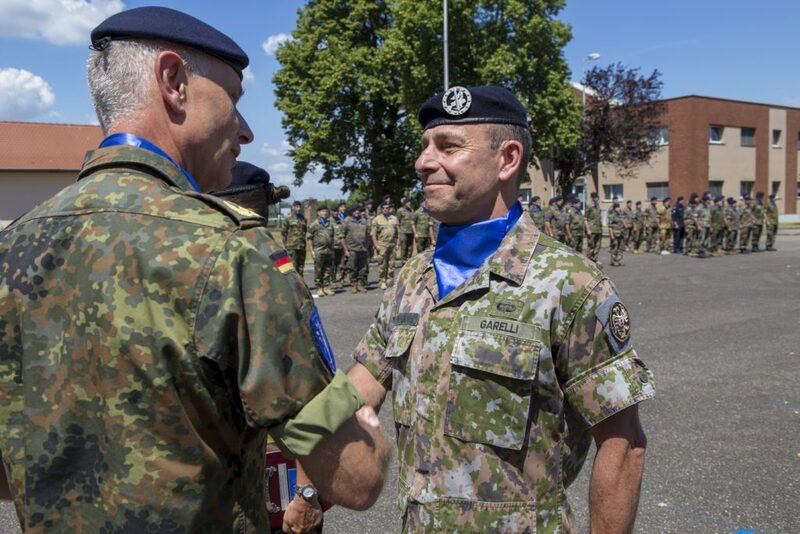 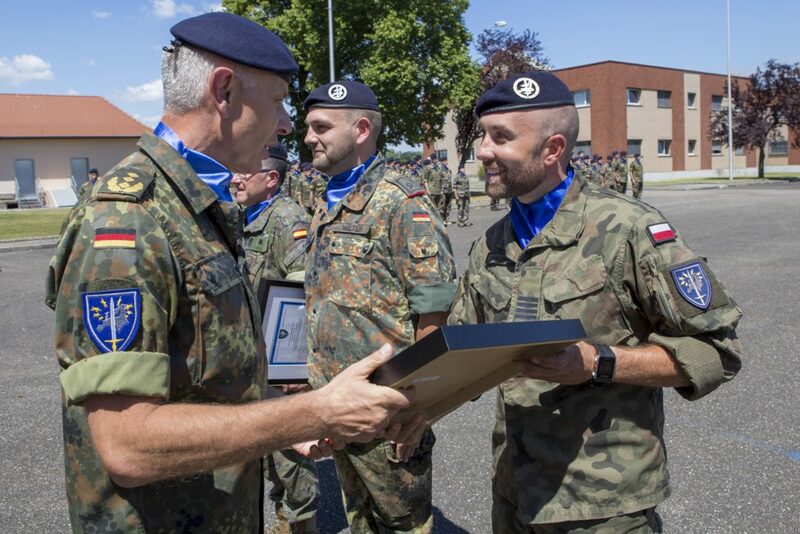 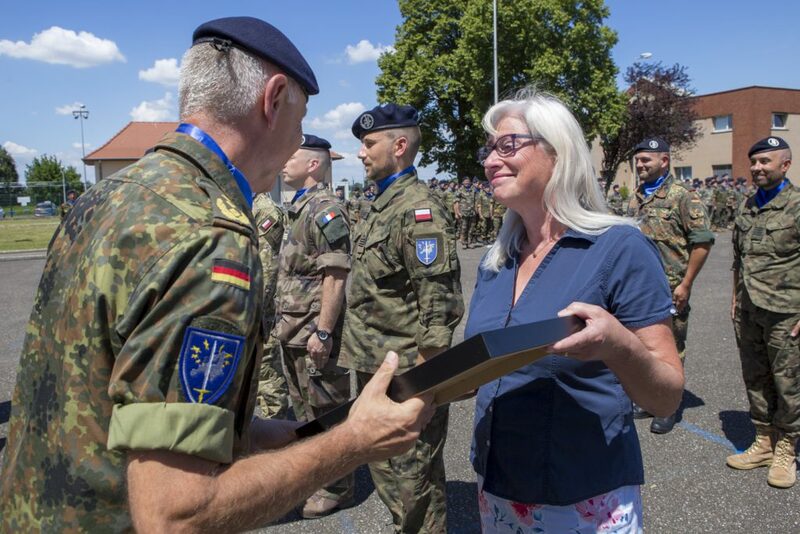 The soldiers and the civilian servants from ten european nations posted in Eurocorps, Strasbourg, France, attended a ceremony during a sunny and warm day within their barracks the 27th of June 2018. 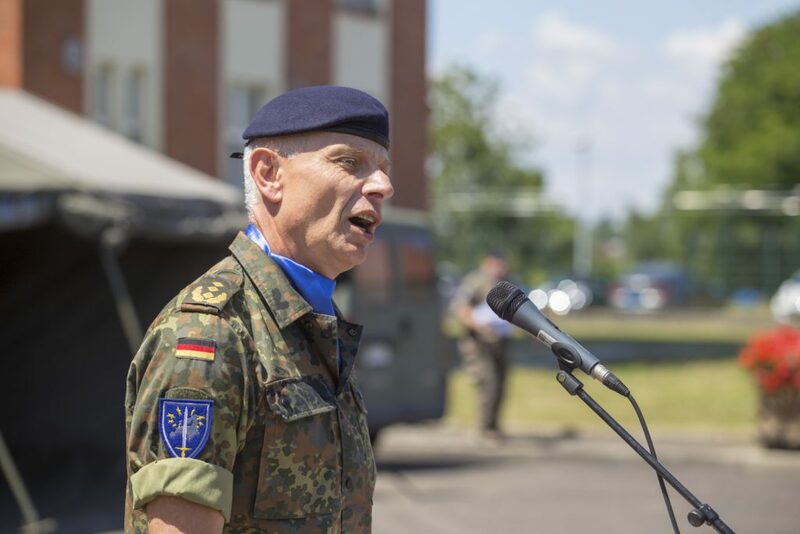 The commanding general Jürgen Weigt took the opportunity to address them on his vision of his multinational and operational Headquarters. 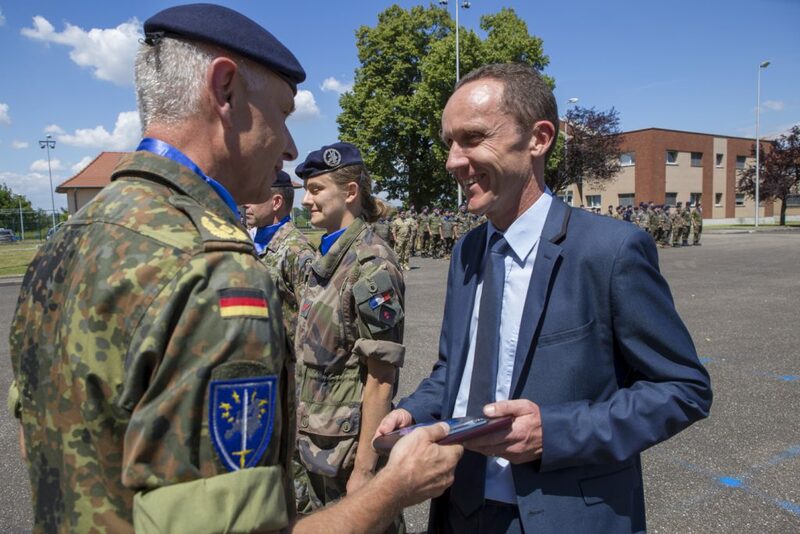 After one year of tour, he stressed the profesionalism of all its members to reach the objectives he gave to them in order to prepare in the best way the upcoming NATO Response Force stand-by phase. 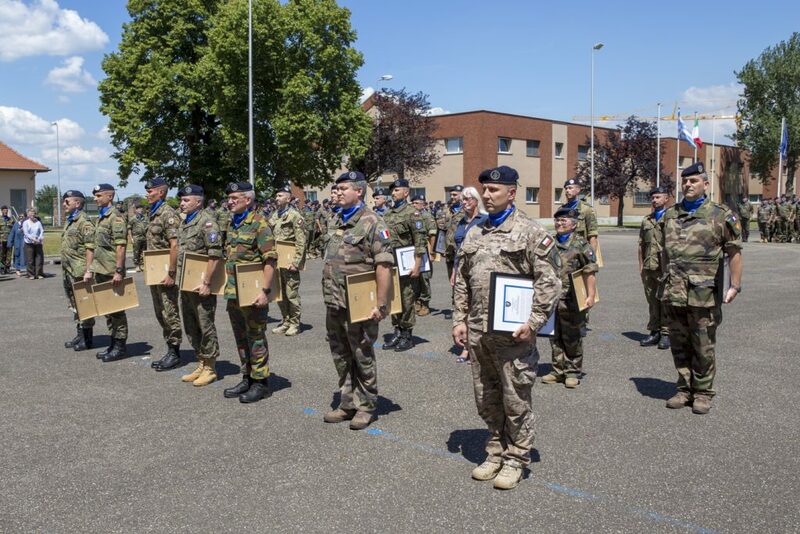 During the parade, civilian and military personal have been honored, receiving acommendation letter by the commanding general. 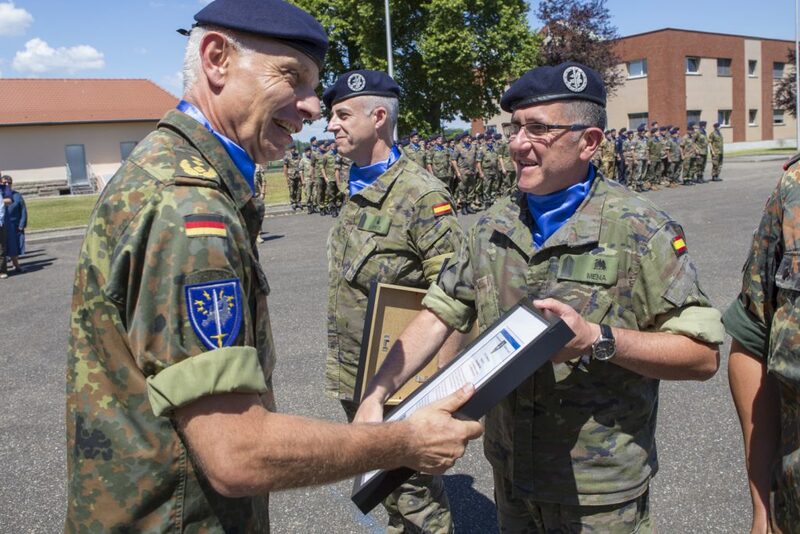 A way to highlight their great commitment during the year to make Eurocorps Headquarters more efficient and ready for the challenges of the future. 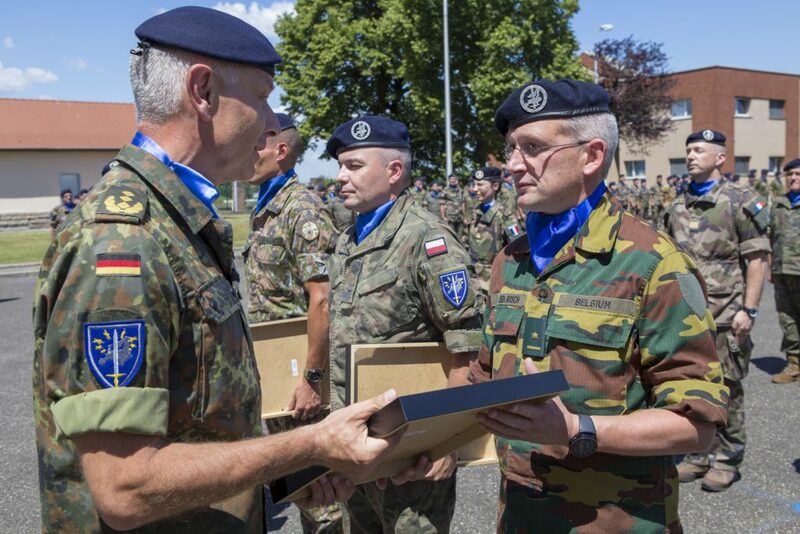 Then it was time to distinguish those who brought their dedication to Eurocorps and also to their respective armies. 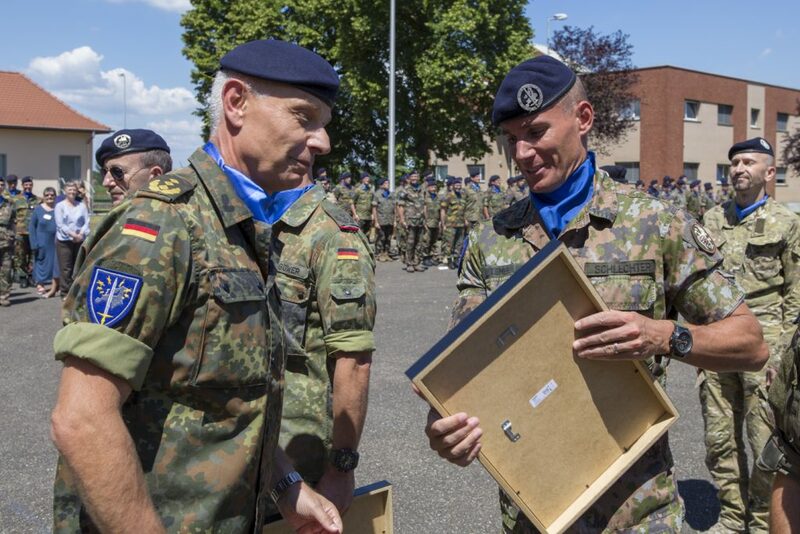 Up to this day, they will be retired! 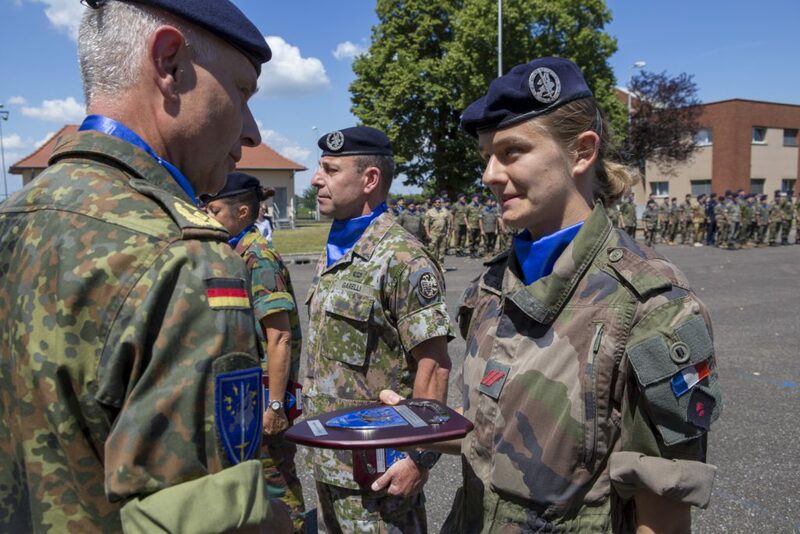 They spent time in Strasbourg, engaged on behalf of their countries but dedicated to our multinational Headquarters. 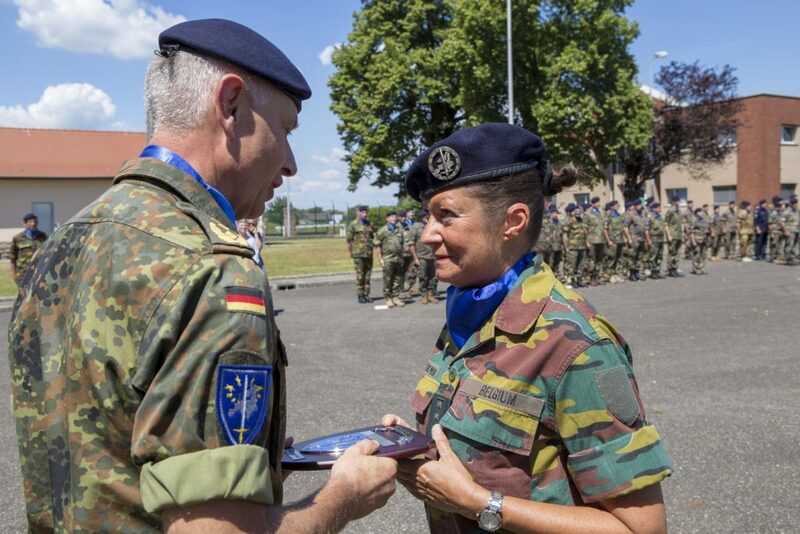 Now they will leave Eurocorps and get new adventures. 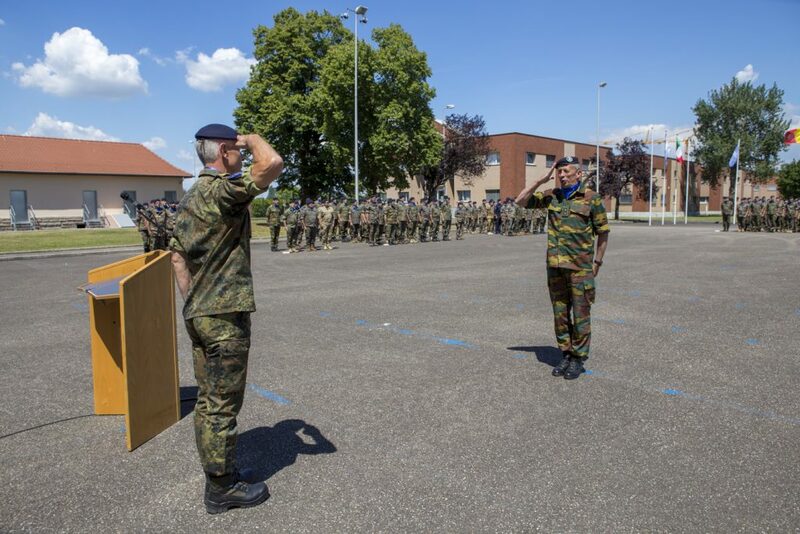 The commanding general underlined their strong motivation for the mission and wished them all the best for their new life!